Can we just start this blog by saying it should be impossible to be this gorgeous, this brilliant, this down to earth AND this together and yet somehow...Gabi and JT are. Frick. You guys. This wedding, this family, this couple, their DOG, all of it - a next level dreamy wedding. We could seriously go on and on but we’ll get to the good stuff 'cause we know you wanna see these photos! Gabi and JT fell in love five years ago, thanks to Tinder, JT’s face, the Bay area and a swipe right. Gabi was working that brilliant mind of hers at Teach for America and after downloading a few dating apps, came across JT. 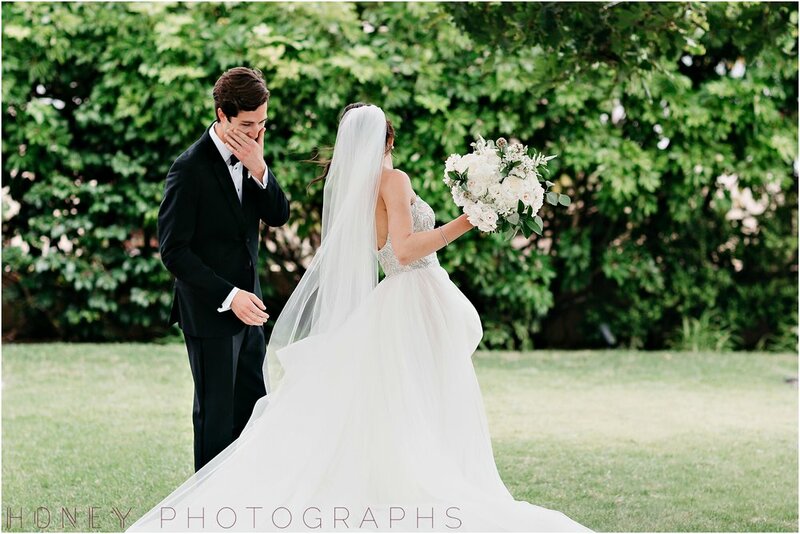 She saw his face (plus) and the fact that they had one mutual friend (double plus) and swiped right for her one-day hubby, JT ALBRIGHT. SWIPE RIGHT FOR ALBRIGHT! Come on. Best part? That one, random, mutual friend ended up being one of Gabi’s maid of honor as the two said ‘I Do’. AH. My heart. These two together just make total sense - you can tell they’ve loved and lived and grown together, five years worth of change, challenge, sacrifice, school (did we mention Gabi got her Law Degree to become basically become a social justice warrior? Yeah…) and so, so much love. 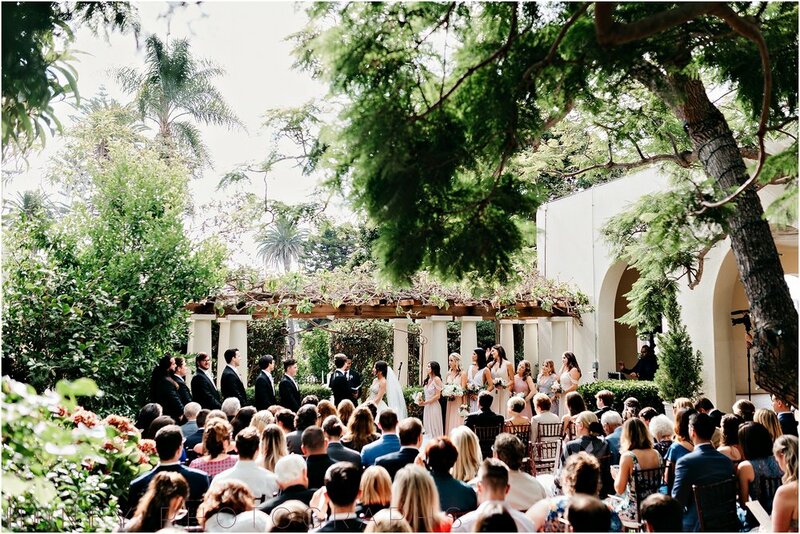 Their wedding day was a testament to that: celebrating their friends, family and the fact that two beautiful freaking superstars found each other! Their wedding was lush and dreamy. 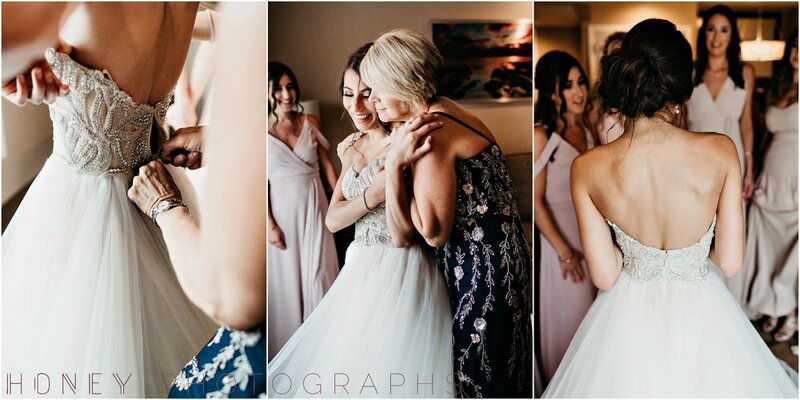 They honored their family legacy in such sweet ways - even by carrying the memory of Gabi’s beloved Grandfather with them in each moment of celebration. Gabi’s had a little framed photo of the two of them together pinned to her bridal bouquet, something JT’s sister handmade for her. SOB. Both Gabi’s grandparents and JT’s grandparents - wildly important people in both of their lives - were honored and remembered so sweetly throughout the day. Every single moment and detail was something to be savored - from their adorable dog Jackson stealing the show, to the gorgeous tables - each named for a place they’d traveled or lived in together. 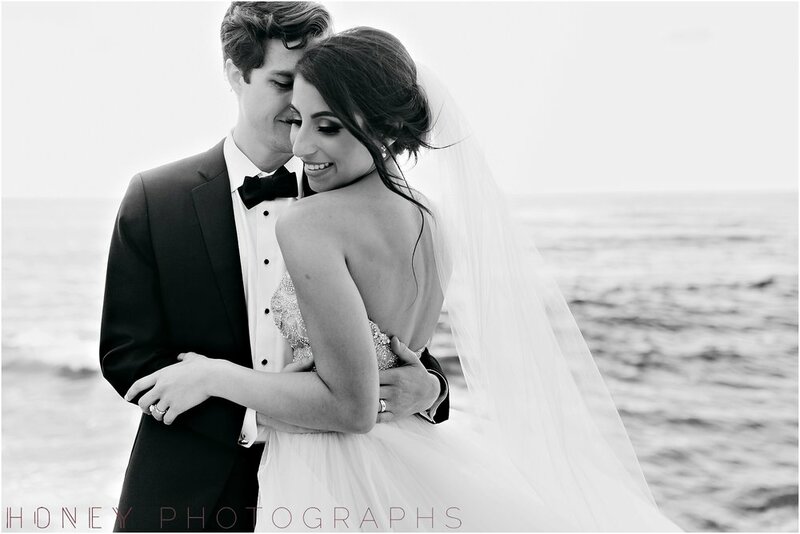 From Gabi’s UNREAL dress to JT’s full on joyful laughter during their first look to the straight up 7 minutes in heaven we spent cliffside for couple's portraits. And OH YEAH... from Jackson’s BOWTIE to the florals that I’d fo sho take home to meet my parents. K THANKS BYE. Give me all the feels, please and thanks. Gabi and JT, we love you guys big time and cannot WAIT to watch your forever unfold.